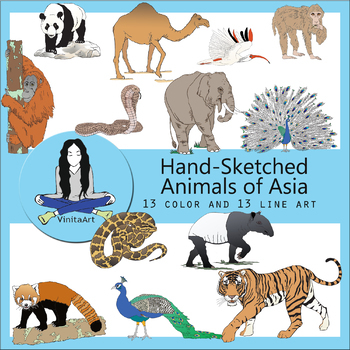 Hand sketched Animals of Asia clip art bundle. This set includes 13 black and white and 13 color files. Each file is 250 dpi and all are in a .png format with transparent background. 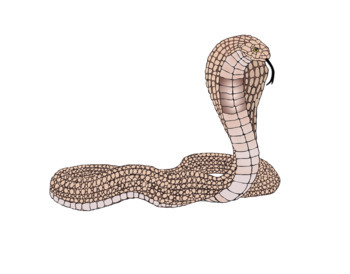 Each file is large enough to print out for a full color, high resolution coloring page. Great for your studies of Asia, create flash cards, coloring pages or add to your curriculum! 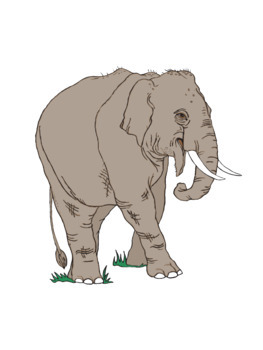 Asian Elephant, Tapir, Panda, Cobra, Macaque, Camel, Red Panda, Ibis, Orangutan,Peacock and Burmese Python. I included 2 different images of the Peacock to show it with its tail feathers down and fanned out. You may use these images any way you like to create your own curriculums for resale or other projects, however you may not resell them as clip art.